Sooty copper butterfly on a flower stalk. 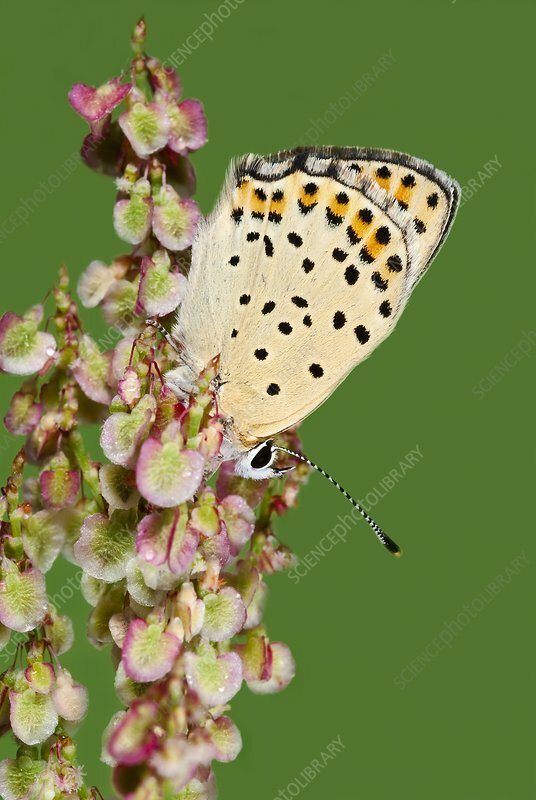 Sooty coppers (Lycaena tityrus) are common in Europe. Photographed in Poland.